Food to lose weight: are solid or liquid meals better? The health marketing industry spends a lot of money to advertise various supplements, shakes and food to lose weight. Often they’ll highlight the benefits of drinking more meals as shakes or smoothies to encourage weight loss. Does the research support their claims? An increasing number of recent studies have sought to answer that question. When you start feeling hungry, your stomach and intestines are sending signals encouraging you to eat. If you respond by having a meal, nerves in the stomach wall recognize stretching and tell the brain that it’s satiated. Also, nerve regulators and hormones are released by the intestines. The hormone in charge of hunger is called ghrelin. When the stomach is empty, the hormone is released. So when the stomach is full, ghrelin decreases and aids in the feeling of satiety. There’s a difference with liquid foods, however. Our brain has a more difficult time recognizing satiety with liquids. Even the way liquid food feels in our mouth could send different information! Recall the last time you had liquid food. It could be a protein drink or a smoothie or even a milkshake. Typically, you spend less time and have less interaction with the food. That all leads to reduced psychological satisfaction. Lastly, since liquids travel faster than solids, they also move quickly through the intestines. This has an impact on the rate of nutrient absorption. Therefore, it also affects the bodies satiety hormones and signals to the brain. Will liquid food aid weight loss? According to a paper published in the International Journal of Obesity by two professors of food and nutrition at Purdue University, eating a liquid instead of a solid form of food resulted in consuming more calories during the day. General scientific consensus maintains that solid foods are better suited for satiety than liquid ones. However, that is not to say that liquid options are not nutritious or helpful with weight loss! 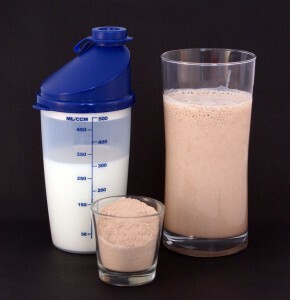 Juicing, healthy smoothies and protein drinks often contain less calories than a full meal and can be highly nutritious. A study performed at the University of California – San Diego found that altering the physical form of food causes blood sugar to react with a more abrupt and quick spike. That is to say that taking a solid food and liquefying it will have a faster response in the body. When choosing food to lose weight, you can certainly opt to eat or drink the majority of calories. Although, when choosing a liquid option, be aware of how much you consume after the meal. Often you won’t feel quite as full as you would with solid foods.